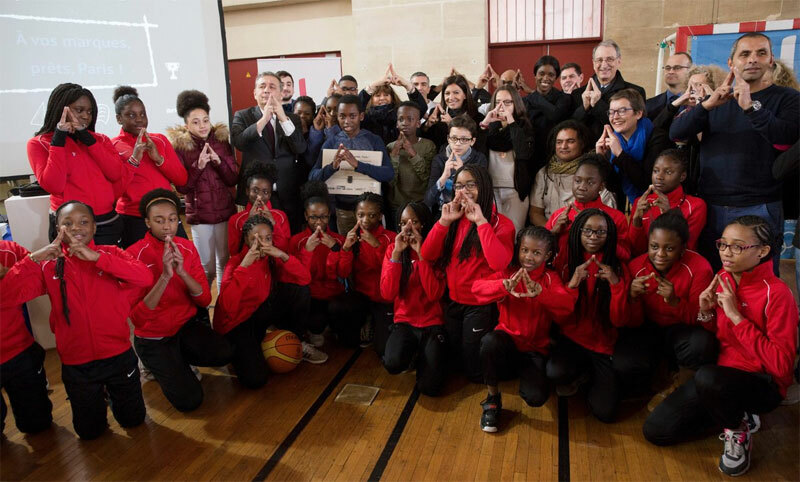 The City of Paris, the Paris Academy and the French National Olympic and Sports Committee (CNOSF) have launched a new initiative – ten measures to promote the passion for sport and the purpose of Olympism to up to 275,000 Parisian students. The infinitive is in line with legacy the vision of Paris’ bid for the 2024 Olympic and Paralympic Games. The ten measures were unveiled Tuesday to encourage the practice of sport, which Paris 2024 says is a powerful legacy for younger generations that is fully in line with the bid’s vision for the 2024 Olympic and Paralympic Games. “We want the Games to benefit Parisians and the entire French population, leaving a strong legacy for young people and future generations to have positive Olympic values embedded into their daily lives. The new program complements the educational initiative implemented earlier this year by Paris 2024. “Playdagogie – values of Olympism”, developed in collaboration with UNICEF and PLAY International and based on the established approach of using games and sport to develop life skills, brings the concept of Olympism and integrates the values of friendship, excellence and respect into educational content for kids. Alongside Playdagogie, the ‘Olympic and Paralympic Week’, which will take place annually as part of the National Education curriculum, will mobilize more than one million kids in France in its first year alone, sharing the Olympic values as part of Paris’ vision to host a Games of passion and purpose. Paris is bidding for the 2024 Games against Los Angeles. Budapest Wednesday decided to withdraw its bid after the City Council votes March 2. The winner will be selected by the International Olympic Committee (IOC) September 13 in Lima Peru.